They say a photo is worth a thousand words. An image creates a lasting effect on the viewer and helps in recalling things faster. The same logic is applied when an image is posted online on your website or a blog. It helps in describing your written content and concepts better. Thousands of images are available online. The struggle begins when it comes to using these images as a medium for increasing traffic inflow for your website. Google is the mastermind. It is a repository of thousands of images. Your task as a content creator and webmaster is to convince Google that your website images need to be at the top of image searches for whichever realm or industry you fall in.This becomes possible through Image Optimization. Let us welcome you into the “unseen” world of Image SEO. How do you figure out if image optimization is the thing for you? When it comes to digital content of any kind, the biggest objective that everyone embodies isthat Google crawls through our page and ranks it at the top. Images are a visual representation of the content on your webpage. Without optimizing your content, especially the visual aspect of the user experienceon your website, you cannot achieve this objective at any cost. Your individual ranking can bepositively influenced to a large extent when your images are optimized. Lots of SEO professionals out there think that adding an image to the website will just increase the loading time. 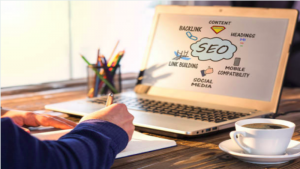 SEO professionals think that image SEO is not as important as website SEO because images are not as powerful an entry point as compared to links on the SERPs. Google image searches help people find images directly, which they can then use instead of going to the website that contains the image in the first place. How can this increase website traffic? The solution for this is to make sure you optimize images on your website effectively without leaving any loose ends. Of course, that is just the tip of the iceberg. How Can Image SEO and Optimization Help? 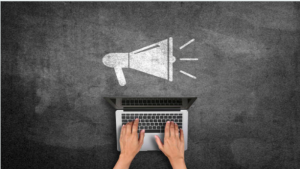 For those who have products to sell online, marketing their items is kind of a big deal. People, however, decide upon buying certain website’s products as opposed to another, once they go through the entire experience of shopping online. In this sense, the way they experience shopping online influences the choice of item they choose to buy and more importantly, the website from which they buy it.Images play a major role in defining user experience and hence, proper image optimization for e-commerce websites is a must. Another reason to respect and follow image optimization is if you want to publish or provide your image for other peoples’ usage. If your image holds a lot of informative or aesthetic value,individuals and organizations might want to use your photo for their presentations and other purposes. If your image contains data or graphs, it might find use as a reference in research studies published online or in blogs or landing pages. On top of that, there are visual marketers who sell images online and make their living out of it. This includes sites like Freepik and Shutterstock. Google helps such photographers and illustrators who are looking to extend a helping hand to other through their images. Tip: optimization does not need to be restricted to merely SEO rules; it also has to extend into the aesthetic as well as the informative potential of the image. There are numerous websites that are dedicated towards carrying out research on the way SEO trends and algorithms keep changing and undulating.Both these digital scientists as well as actual scientists have observed that we as humans are more tuned towards processing visuals rather than written text. Fact File: The reason why we are able to process visuals faster than written text is because about 40 percent of the nerve fibres in our brains are connected to the human retina. This helps us process visual content approximately 60,000 times faster than textual content. For those who are frequent image searchers, Google recognizes their behaviour based on their search history. Google will make your future searches easier by giving you what you want in the first step itself rather than the second one. The images related to your search query will be displayed on the main SERP itself, rather than the image search results. The task here for the webmasters is to optimize their images in such a way that they appear on the first page of the image search results. This will allow webmasters to gain results in the first step rather than the second, similar to how users have it. By making sure your images are at the top of the image search results, you are basically getting a free ticket to the top of the Google SERPs in general. Basically, the images used on a website will help in attaining higher rankings and better website traffic. With the use of appropriate keywords, your image should turn up on both imageas well as normal search results, making it easier for Google to recognize the website. One of the biggest advantages that come with optimizing your image and ensuring it appears on image search results is the fact that it acts as a portal of entry to your website that did not exist before! It is similar to a landing page or a basic homepage in that if it is properly optimized, it will attract audiences and allow them to enter your domain. Searchers can click on the image and be redirected directly to our website, thereby creating traffic. When it comes to Image SEO, you have to highlight the keyword. Once you have worked that out, a smart way of optimizing the image will be using one such phrase with a keyword in it into the Image File Name. This is the first step towards optimizing an image is the image name, which will describe what your image is all about.At the same time, it should also highlighthow the image fits in with the website or article content that it is crafted around. Another factor is to mention the Image Alt Text. Many professionals avoid applying a notable alt attribute to their image as they believe the description will do the entire work. An alt attribute has a more descriptive nature as compared to the Image filename, except, the core reason to define an Alt Text is because it can save your content from the lack of clarity that results from unloaded images. Sometimes, the image you search for might not be displayed or decoded. In that case, Image Alt Text acts as an alternative, and the text is displayed instead of an empty space. Captions and Descriptions are also equally important as it gives away a better idea of what the image is for. It clears the definition of what the image signifies and provides details and links for the website. A great tip will be to mention the primary and secondary keywords in the description or a caption. 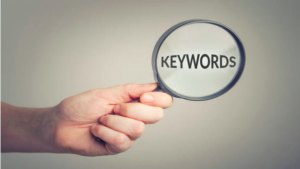 So when all these attributes have the keywords, Google will crawl through each one individually, making the image most relevant piece to display when searched, increasing the chances of ranking the image and the website. The content of Image SEO should revolve around the image that you use. For a triple check, Google will look at the texts that surround the images to examine the relevancy of Image. At last, going into details, the image is optimized when it is of theright size, has an appropriate URL, and also has high relevancy when it comes to the content within which it has been integrated. The thing with the images is that the bigger your image size is, the more time your website will take to load it up. The images need to be compressed in the most appropriate size to increase the page speed. Note that this has nothing to do with quality. The smart way is to cut down the excess and unnecessary areas of your image while retaining the overall quality or resolution of the image. Images, when optimized correctly, can help create traffic through social media as well. Social media is a platform that can be used to share blogs, articles, and links to a certain website. A platform that is solely dedicated to creating and sharing information for humans, ensuring that content is presented in the most consumable way possible is extremely important. Optimized images are a must when it comes to representing your brand or yourself on social media as it helps in developing a more intimate bond with your followers and friends. Facebook – This social media platform has maximum and a minimum requirement of image size that can be posted as a piece of content representing your beliefs as an individual or your products/services as a brand. This platform is great in terms of communicating to your followers, except sometimes, the defined dimensions (length, breadth, pixels, resolution etc) of the image as per the rules of Facebook are just not enough or in a proportion to what is uploaded on the website. To solve this, something known as Open Graph Protocol was put into action by Facebook. What this does is that it lets you share web site links by extracting a little bit more information about the image from your web page. You will be able to see a small description, Image name, URL, website title, and other things when you post your image on your Facebook wall. It is perfect as it pulls out some information from your website and helps the searcher get a better idea of what your website is all about, rather than just an image and a URL to judge on.Twitter uses something similar to Facebook Open Graph Protocol, known as Twitter Cards. It also displays more than just a URL of the image when you post the image. The same is the case with LinkedIn. Now the best way of optimizing your image through these mediums is when you use the same image of the same web page on all these social media networks. It might seem complicated at first because you would be required to make changes to your image so that it complies with the varying dimensional requirements of different social media platforms. But, when the presence of your webpage is all over the platform, it becomes easier to be recognized by Google, thereby increasing search engine ranking and web traffic. So there you have it. The options, reasons, ways, and importance of all things you need to think about to optimize images for the web. This takes into account the SEO and web development aspects, technical aspects and social media optimization. Image optimization is born from the need to increase image SEO ranks and website traffic through its goals – image rank on Google image search and on social media.